Search The Nations Largest Inventory of Forklift Parts, FREE! 123Forklift provides you with unparalleled forklift service from the most professionally trained technical team and the quickest response time for any and all of your forklift’s mechanical issues. We service all makes and models of forklifts and can resolve your mechanical issues at one of our 170 convenient locations or we can repair your forklift at your place of business with our mobile response team. 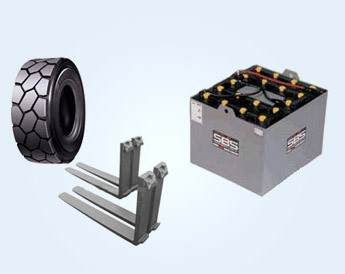 We carry the most affordable new and used forklift parts at each of our locations for all makes and models of forklifts. 123Forklift also offers forklift service contracts. Downtime costs you and your business money. Neglecting proper forklift maintenance can reduce the life of the forklift and require you to purchase another forklift prematurely. You can avoid most of your forklift’s mechanical issues with a proper maintenance program. Fork truck service should not be neglected. We have several programs available to fit your time and your budget. Each of our dealerships carries a full inventory of rental lifts so that there is little to no downtime. Time is money! So take the worry out of your fork lift service and let us keep you running. 123Forklift has over 5,000 new and used forklifts in stock for purchase or rental. We also carry over $1,000,000 worth of forklift parts at all times. Most jobs are completed within one business day for simple repairs. The only exceptions being when parts need to be ordered or the forklift repair is major. Forklift repair can be a large burden on your business and your budget. We get you back up and running as quickly as possible. 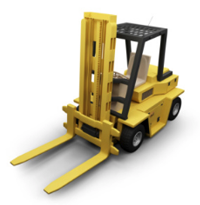 We strive to provide our customers with the highest quality forklift service in the industry. We represent every major brand of forklifts and forklift parts so that we can fulfill any and all of your forklift needs in one place. Whether you are an end user with one forklift, or a dealership with hundreds of forklifts in stock, your business is very important to us and our dealerships. We will work hard to keep you as a customer for as long as you own your lift truck. By submitting a request for quote customers may also receive occasional price and inventory updates via email. Copyright © 2019 123Forklift, All rights reserved.